Email Ray H. Banks if you find any broken links on this page. Disclaimer: The papers included here do not necessarily represent the first publication of some discoveries. In some cases, authors may be including the work of others. In this document ISOGG in no way is trying to assign credit to researchers. Some of the earlier research papers have been omitted because they use older naming conventions that would require further explanation. Adamov D., Guryanov V., Karzhavin S., Tagankin V., Urasin V, (2015). Adams S.M., King T.E., Bosch E., Jobling M.A. (2006). Alonso S, Flores C., Cabrera, V. Alonso, A., Martin P, Albarran C., Izagirre, N, de la Rua C, Garcia O, (2005). Athey T W, Schrack B E (2008-1). Athey T W, Wilson J F (2008-2). Athey T W, Nordtvedt K (2005). Balanovsky O, Zhabagin M, Agdzhoyan A, Chukhryaeva M, Zaporozhchenko V, Utevska O, Highnam G, Sabitov Z, Greenspan E, Dibirova K, Skhalyakho R, Kuznetsova M, Koshel S, Yusupov Y, Nymadawa P, Zhumadilov Z, Pocheshkhova E, Haber M, Zalloua P A, Yepiskoposyan L, Dybo A, Tyler-Smith C, Balanovska E. (2015). Balanovsky O, Dibirova K, Dybo A, Mudrak O, Frolova S, Pocheshkhova E, Haber M, Platt D, Schurr T, Haak W, Kuznetsova M, Radzhabov M, Balaganskaya O, Romanov A, Zakharova T, Soria Hernanz DF, Zalloua P, Koshel S, Ruhlen M, Renfrew C, Wells RS, Tyler-Smith C, Balanovska E; The Genographic Consortium. (2011). Balanovsky O, Rootsi S, Pshenichnov A, Kivisild T, Churnosov M, Evseeva I, Pocheshkhova E, Boldyreva M, Yankovsky N, Balanovska E, and Villems R (2008). Balaresque P, Bowden G R, Adams S M, Leung H-Y, King T E. Rosser Z H, Goodwin J,Moisan J-P, Richard C, Millward A, Demaine A G, Barbujani G, Previderè C, Wilson I J, Tyler-Smith C, Jobling M A. (2010). Batini C, Hallast P, Zadik D, Delser P D, Benazzo A, Ghirotto S, Arroyo-Pardo E, Cavalleri G L, de Knijff P, Dupuy B M, Eriksen H A, King T E, López de Munain A, López-Parra A, Loutradis A, Milasin J, Novelletto A, Pamjav H, Sajantila A, Tolun A, Winney B, Jobling M A, (2015). Batini C, Ferri G, Destro-Bisol G, Brisighelli F, Luiselli C, Sánchez-Diz P, Rocha J, Simonson T, Brehm A, Montano V, Elwali N E, Spedini G, D’Amato M E, Myres N, Ebbesen P, Comas D, Capelli D, (2011). Battaglia V, Fornarino S, Al-Zahery N, Olivieri A, Pala M, Myres N M, King R J, Rootsi S, Marjanovic D, Primorac D, Hadziselimovic R, Vidovic S, Drobnic K, Durmishi11 N, Torroni1 A, Santachiara-Benerecetti A S, Underhill P A, Semino O, (2008). Behar D M, Garrigan D, Kaplan M E, Mobasher Z, Rosengarten D, Karafet T M, Quintana-Murci L, Ostrer H, Skorecki K, Hammer M F, (2004). Behar D M, Yunusbayev B, Metspalu M, Metspalu E, Rosset S, Parik J, Rootsi S, Chaubey G, Kutuev I, Yudkovsky G, Khusnutdinova E K, Balanovsky O, Semino O, Pereira L, Comas D, Gurwitz D, Bonne-Tamir B, Parfitt T, Hammer M F, Skorecki K, Villems R, (2010). Berger B, Niederstatter H, Erhart D, Gassner C, Schennach H, Parson W. (2013). Bertoncini S, Bulayeva K, Ferri G, Pagani L, Caciagli L, Taglioli L, Semyonov I, Bulayev O, Paoli G, Tofanelli S. (2012). Biro A, Zalan A, Volgyi A, Pamjav H. (2009). Bortolini M-C, Salzano FM, Thomas MG, Stuart S, Nasanen SPK, Bau CHD, Hutz MH, Layrisse Z, Petzl-Erler ML, Tsuneto LT, Hill K, Hurtado AM, Castro-de-Guerra D, Torres MM, Groot H, Michalski R, Nymadawa P, Bedoya G, Bradman N, Labuda D, and Ruiz-Linares A, (2003). Cadenas A M, Zhivotovsky L A, Cavalli-Sforza L L, Underhill P A, HerreraR J, (2008). Capelli C, Redhead, N, Romano V, Cali F, Lefranc, G, Delague V, Megarbane A, Felice A E, Pascali V L, Neophytou P I, Poulli Z, Novelletto A, Malaspina P, Terrenato L, Berebbi A, Fellous M, Thomas M G, Goldstein D B, (2005). Capredon M, Brucato N, Tonasso L, Chosemel-Cadmuro V, Ricaut F-X, Razafindrazaka H, Rakotondrabe A B, Ratolojanahary M A, Randriamarolaza L-P, Champion B, Dugoujon J-M, (2013). Chandrasekar A, Saheb, S Y, Gangopadyaya P, Gangopayaya S, Mukherjee A, Basu D, Lakshmi G R, Sahani A K, Cas B, Battacharya S, Kumar S, Xavior D, Sun D, Rao V R, (2007). Charoni J, Underhill P, Cavalli-Sforza L L, (2009). Chen J,Li H, Qin Z D, Liu W H, Lin W X, Yin R X, Jin L, Pan S L, (2006). Cinnioglu C, King R, Kivisild T, Kalfoglu E, Atasoy S, Cavalleri G L, Lillie A S, Roseman C C, Lin A A, Prince K, Oefner P J, Shen P, Semino O, Cavalli-Sforza L L, Underhill P A, (2004). Cox M P, Lahr M M (2006). Cristofaro J D, Pennarun E, Mazieres S, Myres N M, Lin A A, Temori S A, Metspalu M, Metspalu E, Witzel M, King R J, Underhill P A, Villems R, Chiaroni J (2013). Cruciani F, Santolamazza P, Shen P, Macaulay V., Moral P, Olckers A, Modiano D, Holmes S, Destro-Bisol G, Coia V, Wallace D C, Oefner P J, Torroni A, Cavalli-Sforza L L, Scozarri R, Underhill P A, (2002). Cruciani F, Trombetta B, Sellitto D, Massaia A, Destro=Bisol G, Watson E, Colomb E B, Dugoujon J-M, Moral P, Scozzari R (2010a). Cruciani F, La Fratta R, Santolamazza P, Sellito D, Pascone R, Moral P, Watson E, Guida V, Beraud Colomb E, Zaharova B, Lavinha J, Vona G, Aman R, Cali F, Akar N, Richards M, Torroni A, Novelletto A, Scozzari R, (2004). Cruciani F, La Fratta R, Torroni A, Underhill P A, Scozzari R, (2006). Cruciani F, Trombetta1 B, Massaia A, Destro-Bisol G, Sellitto D, ScozzariR, (2011). Cruciani F, La Fratta R, Trombetta B, Santolamazza P, Sellitto D, Colomb E B, Dugoujon J-M, Crivellaro F, Benincasa T, Pascone R, Moral P, Watson E, Melegh B, Barbujani G, Fusselli S, Vona G, Zagradisnik B, Assum G, Brdicka R, Kozlov A I, Efremov G D, Coppa A, Novelletto A, Scozzari R, (2007). Cruciani F, Trombetta B, Novelletto A, Scozzari R, (2008). Delfin F, Salvador J M, Calacal G C, Perdigon H B, Tabbada K A, Villamor L P, Halos S C, Gunnarsdóttir E, Myles S, Hughes D A, Xu S, Jin L, Lao O, Kayser M, Hurles M E, Stoneking M, De Ungria M C A, (2011). Deng W, Shi B, He X, Zhang Z, Xu J, Li B, Yang J, Ling L, Dai C, Qiang B, Shen Y, Chen R, (2004). Derenko M, Malyarchuk B, Denisova GA, Wozniak M, Dambueva I, Dorzhu C, Luzina F, Danuta Miscicka-Sliwka D, Zakharov I, (2006). Di Giacomo F, Luca F, Popa L O, Akar N, Anagnou N, Banyko J, Brdicka R, Barbujani G, Papola F, Ciavarella G, Cucci F, Di Stasi L, Gavrila L, Kerimova M G, Kovatchev D, Kozlov A I, Loutradis A, Mandarino V, Mammi C, Michalodimitrakis E N, Paoli G, Pappa K I, Pedicini G, Terrenato L, Tofanelli A, Mapaspina P, Novelletto A, (2004). Dulik M C, Zhadanov S I, Osipova L P, Askapuli A, Gau L, Gokcumen O, Rubenstein S, Schurr T G, (2012a). 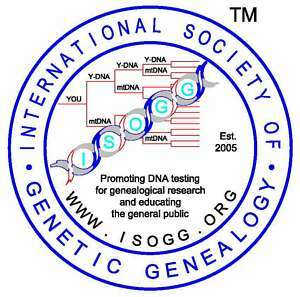 Dulik M C, Owings A C, Gaieski J B, Vilar M G, Andre A, Lennie C, Mackenzie M A, Kritsch I, Snowshoe S, Wright R, Martin J, Gibson N, Andrews T D, Schurr T G; Genographic Consortium,(2012b). Dulik M C, Osipova L P, Schurr T G, (2011). Eaaswarkhanth M, Haque I, Ravesh I, Gomero I G, Meganathan P R, Dubey B, Khan F A, Chaubey G, Kivisild T, Tyler-Smith C, Singh L, Thangaraj K, (2010). El Sibai M, Platt D, Haber M, Xue Y, Youhanna S, Wells R, Izaabel H, Anyoura M, Harmanani H, Bonab M, Behbehani J, Hashwa F, Tyler-Smith C, Zalloua P, The Genographic Consortium, (2009). Firasat S, Khaliq S, Mohyuddin A, Papaioannou M, Tyler-Smith C, Underhill P, Ayub Q, (2007). Flores G, Maca-Meyer N, Gonzalez A M, Oefner P J, Shen P, Perez, J A, Rojas A, Larruga J M, Underhill, P A, (2004). Fornarino S, Pala M, Battaglia V, Maranta R, Achilli A, Modiano G, Torroni A, Semino O, Santachiara-Benerecetti SA, (2009). Francalacci P, Morelli L, Angius A, Berutti R, Reinier F, Atzeni R, Pilu R, Busonero F, Maschio A, Zara I, Sanna D, Useli A, Urru M F, Marcelli M, Cusano R, Oppo M, Zoledziewska M, Pitzalis M, Deidda F, Porcu E, Poddie F, Kang H M, Lyons R, Tarrier B, Gresham J B, Li B, Tofanelli S, Alonso S, Dei M, Lai S, Mulas A, Whalen M B, Uzzau S, Jones C, Schlessinger D, Abecasis G R, Sanna S, Sidore D, Cucca F, (2013). Francalacci P, Sanna D, Useli A, Berutti, R, Barbato M, Whalen M B, Angius A, Sidore C, Alonso S, Tofanelli S, Cucca F.(2015). Ghiani M, Mameli A, Piras G, Berti A, Calo C, Vona G. (2009). Gomes V, Sánchez-Diz P, Amorim A, Carracedo A, Gusmão L. (2010). Gurianov V, Kull L, Sychev R, Tagankin V, Ursin V. (2014a). Gurianov V, Kull L, Sychev R, Tagankin V, Ursin V. (2014b). Hammer M F, Krafet T M, Park H, Omoto K, Harihara S, Stoneking M, Harai S, (2006). Hammer M F, Karafet T M, Redd A J, Jarjanazi H, Santachiara-Benerecetti A S, Soodyall H, Zegura S L, (2001). Hammer M F, Chamberlain V F, Kearney V F, Stover D, Zhang G, Karafet T, Walsh B, Redd A J, (2005). Henn B M, Gignoux D, Lin A A, Oefner P J, Shen P, Scozzari R, Cruciani F, Tishkoff S A, Mountain J L, Underhill P A, (2008). Herrera K J, Lowery R K, Hadden L, Calderon S, Chiou C, Yepiskoposyan L, Regueiro M, Underhill P A, Herrera R J, (2011). Hinds D A, Stuve L L, Nilsen G B, Haperin E, Eskin E, Ballinger D G, Frazer K A, Cox D R. (2005). Hudjashov G, Kivisild T, Underhill P A, Endiott P, Sanchez J, Lin A A, Shed P, Oefner P, Renfew C, Villems R, Forster P, (2007). Hurles M E, Irven C, Nicholson J, Taylor P G, Santos F R, Loughlin J, Jobling M A, Sykes B C, (1998). Hurles M E, Nicholson J, Bosch E, Renfew C, Sykes B C, Jobling M A, (2002). Jin H-J, Kim K-C, Kim W, (2010). Jin H-J, Tyler-Smith C, Wook.K, (2009). Jobling M A, Tyler-Smith C, (2003). Jota M S, Lacerda D R, Sandoval J R, Vieira P P, Santos-Lopes S S, Bisso-Machado R, Paixão-Cortes V R, Revollo S, Paz-Y-Miño C, Fujita R, Salzano F M, Bonatto S L, Bortolini M C, Santos F R; Genographic Consortium, (2011). Karafet T M, Mendez F L, Sudoyo H, Lansing J S, Hammer M F (2014). Improved Phylogenetic Resolution and Rapid Diversification of Y-chromosome Haplogroup K-M526 in Southeast Asia. European Journal of Human Genetics, 1-5. Karafet T M, Hallmark B, Cox M P, Sudoyo H, Downey S, Lansing J S, Hammer M, (2010). Karafet T M, Mendez F L, Meilerman M B, Underhill P A, Zegura S L, Hammer M F, (2008). Karafet T, Xu L, Du R, Wang W, Feng S, Wells R S, Redd A J, Zegura S L, Hammer M F, (2001). Karmin M, Saag L, Vicente M, Sayres M A W, Järve M, Talas U G, Rootsi S, Ilumäe A-M, Mägi R, Mitt M, Pagani L, Puurand T, Faltyskova A, Clemente F, Cardona A, Metspalu E, Sahakyan H, Yunusbayev B, Hudjashov G, DeGiorgio M, Loogväli E-L, Eichstaedt C, Eelmets M, Chaubey G, Tambets K, Litvinov S, Mormina M, Xue Y, Ayub Q, Zoraqi G, Korneliussen T S, Akhatova F, Lachance J, Tishkoff S, Momynaliev K, Ricaut F-X, Kusuma P, Razafindrazaka H, Pierron D, Cox M P, Sultana G N N, Willerslev R, Muller C, Westaway M, Lambert D, Skaro V, Kovačević L, Turdikulova S, Dalimova D, Khusainova1 R, Trofimova N, Akhmetova V, Khidiyatova I, Lichman D V, Isakova J, Pocheshkhova E, Sabitov Z, Barashkov N A, Nymadawa P, Mihailov E, Seng J W T, Evseeva I, Migliano A B, Abdullah S, Andriadze G, Primorac D, Atramentova L, Utevska O, Yepiskoposyan L, Marjanović D, Kushniarevich A, Behar D M, Gilissen C, Vissers L, Veltman J A, Balanovska E, Derenko M, Malyarchuk B, Metspalu A, Fedorova S, Eriksson A, Manica A, Mendez F L, Karafet T M, Veeramah K R, Bradman N, Hammer M F, Osipova L P, Balanovsky O, Khusnutdinova E K, Johnsen K, Remm M, Thomas M G, Tyler-Smith C, Underhill P A, Willerslev E, Nielsen R, Metspalu M, Villems R, Kivisild T, (2015). Kayser M, Choi Y, van Oven M, Mona S, Brauer S, Trent R J, Swarkia, D, Schiefenhovel W, Stoneking M, (2008). Kayser M, Brauer S, Weiss G, Schiefenhovel W, Underhill P A, Stoneking M, (2001). Kayser M, Brauer S, Cordaux R, Casto A, Lao O, Zhivotovsky L A, Moyse-Faurie C, Rutledge R B, Schiefenhovel W, Gil D, Lin A A, Underhill P A, Oefner P J, Trent R J, Stoneking M. (2006). Kayser M, Brauer S, Weiss G, Underhill P A, Roewer L, Schiefenhovel W, Stoneking M, (2000). Kayser M. Brauer S., Weiss G., Schiefenhovel W, Underhill P, Shen P, Oefner P, Tommaseo-Ponzetta M, Stoneking M. (2003). King R, DiCristofaro J, Kouvatsi A, Triantaphyllidis C, Scheidel W, Myres N, Lin A, Eissautier A, Mitchell M, Binder D, Semino O, Novelletto A, Underhill P, and Chiaroni J. (2011). King RJ, Ozcan SS, Carter T, Kalfoglu E, Atasoy S, Triantaphyllidis C, Kouvatsi A, Lin AA, Chow CET, Zhivotovsky LA, M. Michalodimitrakis M, Underhill PA (2008). Kivisild T, Rootsi S, Metspalu M, Mastana S, Kaldma K, Parik J, Metspalu E, Adojaan M, Tolk HV, Stepanov V, Golge M, Usanga E, Papiha S S, Cinnioglu C, King R, Cavalli-Sforza L, Underhill P A, Villems R, (2003). Li H, Wen B, Chen S-J, Su B, Pramoonjago P, Liu Y, Pan S, Qin Z, Liu W, Cheng X, Yang N, Li X, Tran D, Lu D, Hsu M-T, Deka R, Marzuki S, T C-C, Jim L, (2008). Lippold S, Xu H, Ko A, Li M, Renaud G, Butthof A, Schröder R, Stoneking M, (2014). Magoon G R , Banks R H, Rottensteiner C, Schrack B E, Tilroe V O, Robb T, Grierson A J, (2013). Malhi R S, Gonzalez-Oliver A, Schroeder K B, Kemp B M, Greenberg J A, Dobrowski S Z, Smith D G, Resendez A, Karafet T, Hammer M, Zegura S, Brovko T, (2008). Malyarchuk B, Derenko M, Denisova G. (2012). Malyarchuk B, Derenko M, Denisova G, Wozniak M, Grzybowski T, Dambueva I, Zakharov I, (2010). McEvoy B, Bradley D G, (2006). Mendez F L, Krahn T, Schrack B, Krahn A-M, Veeramah1 K R, Woerner1 A E, Fomine F L M, Bradman N, Thomas M G, Karafet T M, Hammer M H. (2013). Mendez F L, Karafet T M, Krahn T, Ostrer H, Soodyall H, Hammer M H. (2011). Mohyuddin A., Ayub Q, Underhill P A, Tyler-Smith C, Mehdi S Q, (Feb. 10 2006). Moore L T, McEvoy B, Cape E, Simms K, Bradley D G, (2006). Mona S, Tommaseo-Ponzetta M, Brauer S, Sudoyo H, Marzuki S, Kayser M. (2007). Myres N M, Rootsi S, Lin A A, Järve M, King R J, Kutuev I, Cabrera V M, Khusnutdinova E K, Pshenichnov A, Yunusbayev B, Balanovsky O, Balanovska E, Rudan P, Baldovic M, Herrera R J, Chiaroni J, Di Cristofaro J, Villems R, Kivisild T, Underhill P A. (2010). Myres N M, Elkins J E, Lin A A, Cavalli-Sforza, L L, Woodward S R, Underhill P A. (2007). Naitoh S, Kasahara-Nonaka I, Minaguchi K, Nambiar P. (2013). Nasidze I, Quinque D, Dupanloup I, Rychkov S, Naumova O, Zoukova O, Stoneking M, (2004). Nasidze I, Quinque D, Ozturk M, Bendukidze N, and Stoneking M, (2005). Nasidze I, Sarkisian T, Kerimov A, Stoneking M. (2003). Nonaka I, Minaguchi K, and Takezaki N. (2007). Olalde I, Sánchez-Quinto F, Datta D,	Marigorta U M, Chiang C W K, Rodríguez J A,	Fernández-Callejo M, González I,	Montfort M,	Matas-Lalueza L, Civit S, Luiselli D, Charlier P, Pettener D, Ramírez O, Navarro A, Himmelbauer H, Marquès-Bonet T, Lalueza-Fox C. (2014). Pakendorf B, Novgorodov I N, Osakovskij V L, Danilova A P, Protod’jakonov A P, and Stoneking M. (2006). Poznik G D, Henn B M, Yee M-C, Sliwerska E, Euskirchen G M, Lin A A, Snyder M, Quintana-Murci L, Kidd J M, Underhill P A, Bustamante C D. (2013). Regueiro M, Cardenas A M, Gayden T, Underhill P A, Herrera T J, (2006). Rocca R A, Magoon G, Reynolds D F, Krahn T, Tilroe V O, Op den Velde Boots P M, Grierson A J. (2012). Rootsi S, Zhivotovsky LA, Baldovic M, Kayser M, Kutuev I A, Khusainova1 R, Bermisheva1 M A, Gubina M, Fedorova1 S A, Ilumae1 A, Khusnutdinova E K, Voevoda M I, Osipova L P, Stoneking M, Lin A A, Ferak V, Parik J, Kivisild T, Underhill P A and Villems R. (2007). Rootsi S, Myres N M, Lin A A, Järve M, King R J, Kutuev I, Cabrera V M, Khusnutdinova E K, Varendi K, Sahakyan J, Behar D M, Khusainova R, Balanovsky O, Balanovska E, Rudan P, Yepiskoposyan L, Bahmanimehr A, Farjadian S, Kushniarevich A, Herrera R J, Grugni V, Battaglia V, Nici C, Crobu F, Karachanak S, Kashani B H, Houshmand M, Sanati M H, Toncheva D, Lisa A ,Semino O, Chiaroni J, Di Cristofaro J, Villems R, Kivisild T and Underhill, P A. (2012). Rootsi S, Behar D M,	Järve M, Lin A A, Myres N M, Passarelli B, Poznik G D, Tzur S, Sahakyan H, Pathak A K,	Rosset S, Metspalu M, Grugni V,	Semino O, Metspalu E, Bustamante C D, Skorecki K, Villems R, Kivisild T, Underhill P A, (2013). Rootsi S, Magri C, Kisivild T, Benuzzi G, Help H, Bermisheva M, Kutuev I, Barac L, Pericic M, Balanovsky O, Pshenichnov A, Dion D, Grobei M, Zhivotovsky L A, Battaglia V, Achilli A, Al-Zahery N, Parik J, King R, Cinnioglu C, Kushnutdinova E, Rudan P, Balanovska E, Scheffrahn W, Simonescu M, Brehm A, Goncalves R, Rosa A, Joisan J-P, Chaventre A, Ferak V, Furedi S, Oefner P J, Shen P, Beckman L, Mikerezi I, Terzic R, Primorac D, Cambon-Thomsen A, Krumina A, Torroni A, Underhill P A, Santachiara-Benerecetti A S, Villems R, Semino O, (2004). Rozen S, Marszalek J D, Alagappan R K, Skaletsky H, and Page D C (2009). Scheinfeldt L. Friedlaender F, Friedlaender J, Latham K, Koki G, Karafet T, Hammer M, Lorenz J, (2006). Schuster S C, Miller W, Ratan A, Tomsho L P, Giardine B, Kasson L R, Harris R S, Petersen D C, Zhao F, Qi J, Alkan C, Kidd J M, Sun Y, Drautz D I, Bouffard P, Muzny D M, Reid J G, Nazareth L V, Wang Q, Burhans R, Riemer C, Wittekindt N E, Moorjani P, Tindall E A, Danko C G, Teo W S, Buboltz A M, Zhang A, Ma Q, Oosthuysen A, Steenkamp A W, Oostuisen H, Venter P, Gajewski J, Zhang Y, Pugh B F, Makova K D, Nekrutenko A, Mardis E R, Patterson N, Pringle T H, Chiaromonte F, Mullikin J C, Eichler E E, Hardison R C, Gibbs R A, Harkins T T, Hayes V M. (2010). Scozzari R, Massaia A, D’Atanasio E, Myres N M, Perego U A, Trombetta B, Cruciani F, (2012). Scozzari R, Massaia A, Trombetta B, Bellusci G, Myres N M, Novelletto A, Cruciani F, (2014). Semino O, Santachiara-Benerecetti A S, Falaschi F, Cavalli-Sforza L L, Underhill P A, (2002). Semino O, Magri C, Benuzzi G, Lin A A, Al-Zahery N, Battaglia V, Maccioni L, Triantaphyllidis C, Shen P, Oefner P J, Zhivotovsky L A, King R, Torroni A, Cavalli-Sforza L L, Underhill P A, Santachiara-Benerecetti A S, (2004). Sengupta S, Zhivotovsky L A, King R, Mehdi S Q, Edmonds C A, Chow C-A T, Lin A A Mitra M, Sil S K, Ramesh A, Rani M V U, Thakur C M, Cavalli-Sforza L L, Majumder P P, Underhill P A, (2006). Sharma S, Rai E, Sharma P, Jena M, Singh W, Darvishi K, Bhat A K, Bhanwer A J S, Tiwari P K, Bamezai R N K, (2009). Shen P, Lavi T, Kisivild T, Chou V, Sengun D, Gefel D, Shpirer I, Woolf E, Hillel J, Feldman M W, Oefner P J (2004). Shi H, Zhong H, Peng Y, Dong Y-L, Qi X-B. Zhang F, Liu L-F, Tan S-J, Ma R Z, Xiao C-J, Wells R S, Jin L, Su B (2008). Shi H, Dong Y, Wen B, Xiao C, Underhill P, Shen P, Chakraborty R, Jin L, Su B, (2005). Shi Yan, Chuan-Chao Wang, Hui Li, Shi-Lin Li, Li Jin and The Genographic Consortium, (2011). Shou W-H, Qiao E-F, Wei C-Y, Dong Y-L, Tan S-J, Shi H, Tang W R, Xiao C-J, (2010). Sims L M, Garvey D, Ballantyne J (2006). Sims L M, Garvey D, Ballantyne J (2009). Sims L M, Garvey D, Ballantyne J (2007). Su B, Xiao J, Underhill P, Deka R, Zhang W, Akey J, Huang W, Shen D, Lu D, Luo J, Chu J, Tan J, Shen P, Davis R, Cavalli-Sforza L L, Chakraborty R, Xiong M, Du R, Oefner P, Chen Z, Jim L, (1999). Tan S, Yang M, Yu H, Dong Y, Shou W, Zou J, Tang W, Guo Y, Xiao C, (2007). Thangaraj K, Singh L, Reddy A G, Rao V R, Sehgal S C, Underhill P A, Pierson M, Frame I G, Hagelberg E, (2003). Underhill P A, Myres N M, Rootsi S, Chow C T, Lin A A, Otillar R P, King R, Zhivotovsky L A, Balanovsky O, Pshenichnov A, Ritchie K H, Cavalli-Sforza L L, Kivisild T, Villems R, Woodward S R, (2007b). Underhill P A, Poznik G D, Rootsi S, Järve M, Lin A A, Wang J, Passarelli B, Kanbar J, Myres N M, King R J, Di Cristofaro J, Sahakyan H, Behar D M, Kushniarevich A, Šarac J, Šaric T, Rudan P, Pathak A K, Chaubey G, Grugni V, Semino O, Yepiskoposyan L, Bahmanimehr A, Farjadian S, Balanovsky O, Khusnutdinova E K, Herrera R J, Chiaroni J, Bustamante C D, Quake S R, Kivisild T, Villems R, (2014). Underhill P A, Passarino G, Lin A A, Shen P, Mirazon Lahr M, Foley R A, Oefner P J, Cavalli-Sforza, L L, (2001). Underhill P A, Myres N M, Rootsi S, Metspalu M, Zhivotovsky L A, King R J, Lin A A, Chow C-E T, Semino O, Battaglia V, Kutuev I, Jarve M, Chaubey G, Ayub Q, Mohyuddin A, Mehdi S Q, Sengupta S, Rogaev E I, Khusnutdinova E K. Pshenichnov A, Balanovsky O, Balanovka E, Jeran N, Augustin D H, Baldovid M, Herrera R J, Thangaraj K, Singh V, Singh L, Majumder P, Rudan P, Primorac D, Villems S, Kivisild T. (2009). Underhill P A, Kisivild T, (2007a). Underhill P A, Shen P, Lin A A, Passarino G, Yang W H, Karuffman E, Bonne-Tamir B, Bertranpetit J, Francalacci P, Ibrahim M, Jenkins T, Kidd J R, Mehdi S Q, Seielstad M T, Wells R S, Piazza A, Davis R W, Feldman M W, Cavalli-Sforza L L, Oerner P J, (2000). Van Geystelen A, Wenseleers T, Decorte R, Caspers MJL, Larmuseau MHD. (2014). Van Oven M, Van Geystelen A, Kayser M, Decorte R, Larmuseau, M HD. (2013). Wei W, Ayub Q, Chen Y, McCarthy S, Hou Y, Carbone I, Xue Y, Tyler-Smith C. (2013). Y Chromosome Consortium (YCC), (2002). Zalloua P, Platt D, El Sibai M, Khalife J, Makhoul N, Haber M, Xue Y, Izaabel H, Bosch E, Adams S, Arroy E, Lopez-Parra A, Aler M, Picornell A, Ramon M, Jobling M, Comas D, Bertranpetit J, Wells R, Tyler-Smith C, Genographic Consortium. (2008). Hurles ME, Veitia R, Arroyo E, Armenteros M, Bertranpetit J, Perez-Lezaun A, Bosch E, Shlumukova M, Cambon-Thomsen A, McElreavey K, Lopez De Munain A, Rohl A, Wilson IJ, Singh L, Pandya A, Santos FR, Tyler-Smith C, Jobling MA, (1999). Recent Male-mediated Gene Flow over a Linguistic Barrier in Iberia, Suggested by Analysis of a Y-chromosomal DNA Polymorphism. American Journal of Human Genetics, Nov;65(5):1437-48. Jobling M, Samara, V, Pandya A, Fretwell N, Bernasconi B, Mitchell R J, Gerelsaikhan T, Dashnyam B, Sajamtila A, Salo P J, Nakahori Y, Disteche C M, Thangaraj K, Singh L, Crawford M H, Tyler Smith C, (1996). Recurrent Duplication and Deletion Polymorphisms on the Long Arm of the Y Chromosome in Normal Males. Human Molecular Genetics, Vol 5, No. 11, 1767-1775. Rosser ZH, Zerjal T, Hurles ME, Adojaan M, Alavantic D, Amorim A, Amos W, Armenteros M, Arroyo E, Barbujani G, Beckman G, Beckman L, Bertranpetit J, Bosch E, Bradley DG, Brede G, Cooper G, Corte-Real HB, de Knijff P, Decorte R, Dubrova YE, Evgrafov O, Gilissen A, Glisic S, Golge M, Hill EW, Jeziorowska A, Kalaydjieva L, Kayser M, Kivisild T, Kravchenko SA, Krumina A, Kucinskas V, Lavinha J, Livshits LA, Malaspina P, Maria S, McElreavey K, Meitinger TA, Mikelsaar AV, Mitchell RJ, Nafa K, Nicholson J, Norby S, Pandya A, Parik J, Patsalis PC, Pereira L, Peterlin B, Pielberg G, Prata MJ, Previdere C, Roewer L, Rootsi S, Rubinsztein DC, Saillard J, Santos FR, Stefanescu G, Sykes BC, Tolun A, Villems R, Tyler-Smith C, Jobling MA, (2000). Y-chromosomal Diversity in Europe Is Clinal and Influenced Primarily by Geography, Rather than by Language. American Journal of Human Genetics, 2000 Dec;67(6):1526-43. Semino O, Passarino G, Oefner P J, Lin A A, Abruzova S, Beckman L E, De Benedictis G, Francalacci P, Kouvatsi A, Limborska S, Marcikiae M, Mika A, Mika B, Primorac D, Santachiara-Benerecetti A S, Cavalli-Sforza L L, Underhill P. (2000). Underhill PA, Jin L, Lin AA, Mehdi SQ, Jenkins T, Vollrath D, Davis RW, Cavalli-Sforza LL, Oefner PJ. (1997). Wells R S, Yuldasheva N, Ruzibakiev R, Underhill P A, Evseeva I, Blue-Smith J, Jim L, Su B, Pitchappan R, Shanmuglakshmi S, Balakrisnan K, Read M, Pearson N M, Zerjal T, Webster M T, Zholoshvili I, Jamarjashvili E. Gambarov S, Nikbin B, Dostiev A, Aknazarov O, Zalloua P, Tsoy I, Kitaev M, Mirrakhimov M, Chariev A, Bodmer W, F. (2001). Zerjal Zerjal T, Dashnyam B, Pandya A, Kayser M, Roewer L, Santos FR, Schiefenhovel W, Fretwell N, Jobling MA, Harihara S, Shimizu K, Semjidmaa D, Sajantila A, Salo P, Crawford MH, Ginter EK, Evgrafov OV, Tyler-Smith C, (1997). Genetic Relationships of Asians and Northern Europeans, Revealed by Y-chromosomal DNA Analysis. American Journal of Human Genetics, 1997 May;60(5):1174-83. Added Balanovsky et al (2015) on 10 April 2015. Added Batini et al (2015) on 15 July 2015. Added van Geystelen et al (2014) on 12 December 2015. Added Adamov et al (2015), Francalacci et al (2015), Lippold et al (2014), Morley (2014), van Oven et al (2013)on 23 December 2015.